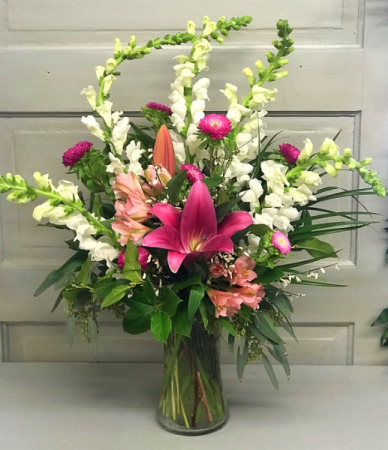 Pink and white flowers beautifully arranged in a glass vase! 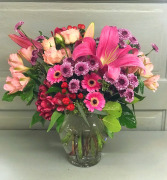 Beautiful pink and purple flowers in clear glass vase! 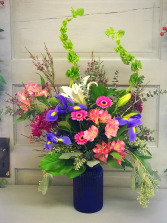 Vibrant flowers in a beautiful cobalt blue vase! 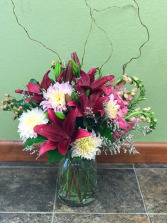 Oriental Lilies and Dahlias arranged with curly willow and clear glass vase!